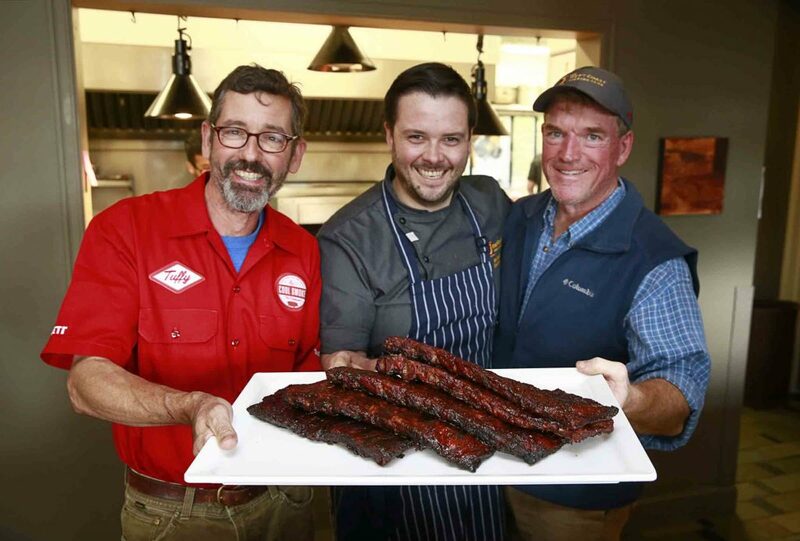 Tuffy Stone, Rob Ratcliffe and Jeff Hayes with Tuffy’s Cool Smoke competition-style ribs. Dry-aged steak from Jacobs & Co Steakhouse. Get ready to be spoiled by two of North America’s top chefs. 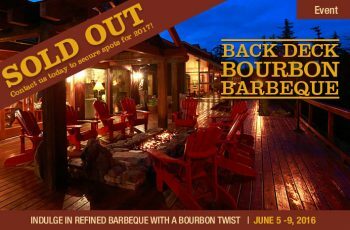 Along with incredible barbeque fare from five-time world champion pitmaster, Tuffy Stone, and daily bourbon cocktails from Woodford Reserve and Jack Daniel’s, we have added a premium dry-aged steak night to our Beef, Barbeque & Bourbon trip held at The Clubhouse on June 3 – 7, 2018. We’ve invited Executive Chef Danny McCallum from one of Canada’s most celebrated steakhouses, Jacobs and Co. Steakhouse, Toronto, to prepare his famous 90-day dry-aged steaks infused with bourbon. 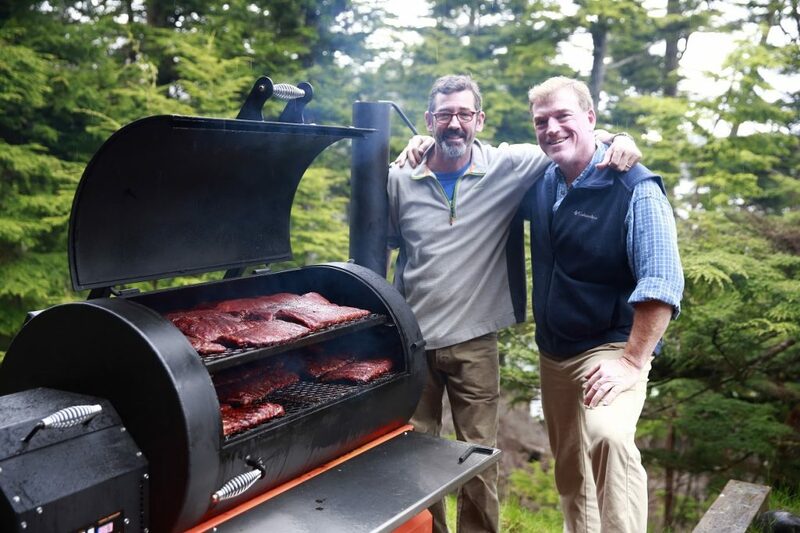 Chef McCallum’s masterful approach to classic steaks will be the perfect addition to our Beef, Barbeque & Bourbon trip designed to astound die-hard meat lovers. 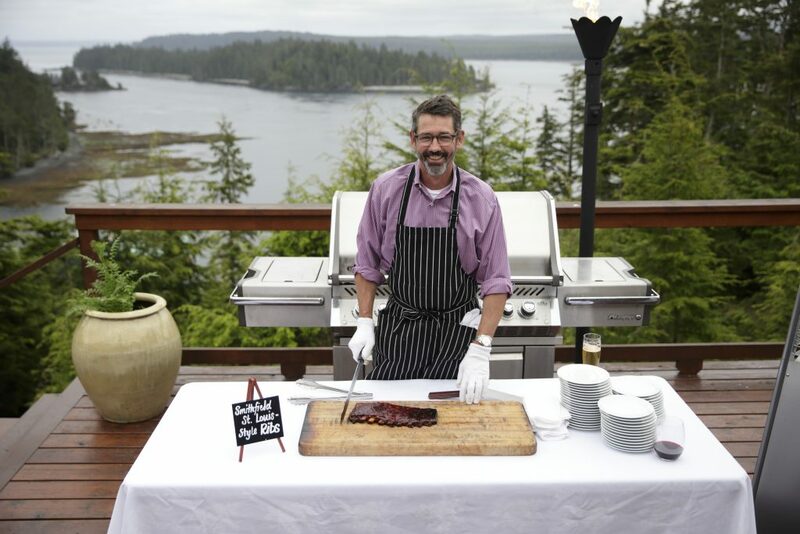 Guests can also take advantage of an interactive cooking demonstration by Chef McCallum and learn tips and tricks from Tuffy on how to achieve the best barbeque. 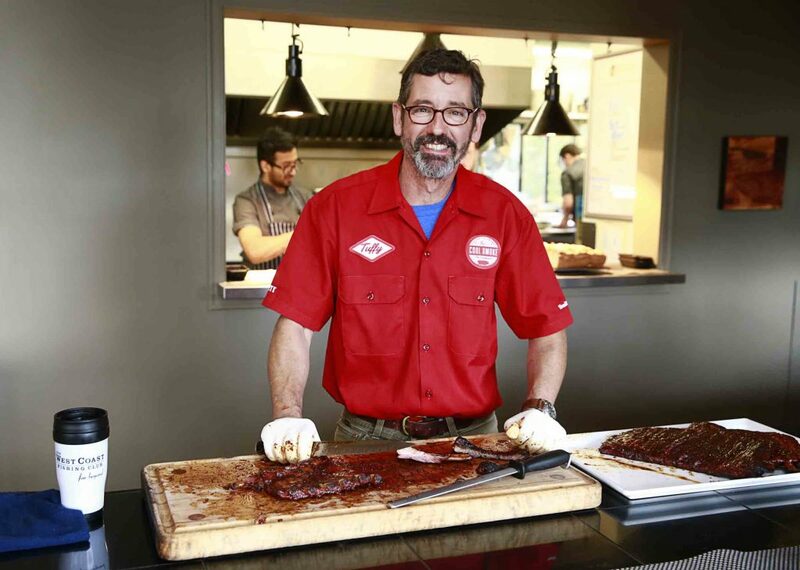 Plus, Tuffy will highlight items from his newly released cookbook “Cool Smoke: The Art of Great Barbecue”. 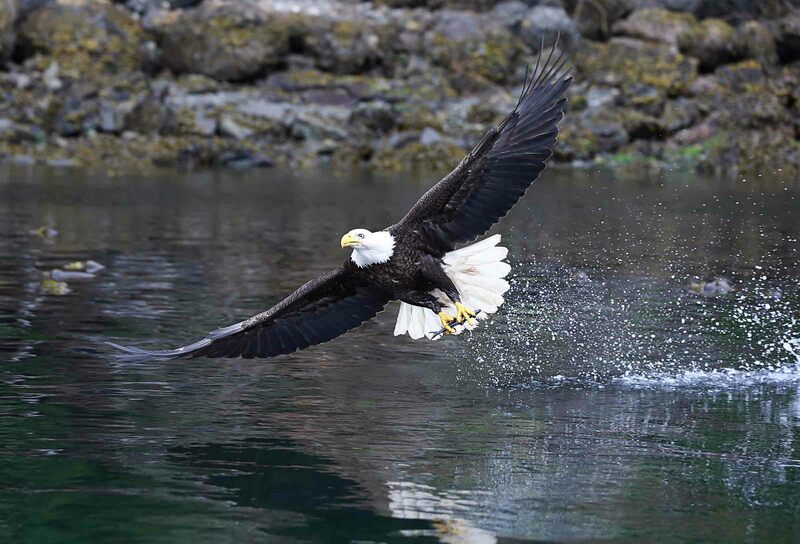 Spots are filling quickly, so don’t miss this opportunity to join this exclusive trip. Chef Danny McCallum and Chef Tuffy Stone Confirmed for 2018! 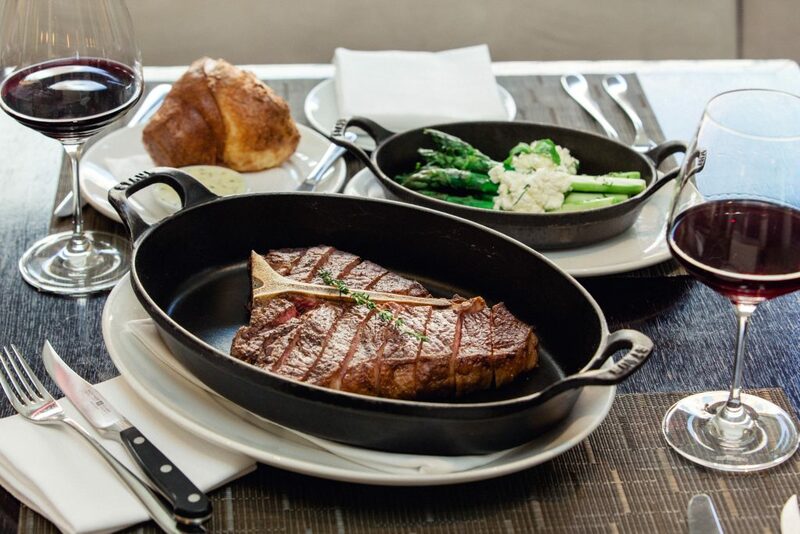 Steak may be perceived as simple but Chef Danny McCallum, the man behind the meat at Toronto’s celebrated steakhouse Jacobs & Co is anything but. Born in Vancouver, British Columbia, Danny fell in love with food at a young age, discovering early that his skills in the kitchen could make people happy. As a teenager his other passions were activism and the environment, which in turn lead to travel and a lifelong exploration of different cultures and their cuisines. Chef Danny’s teen years were marked by his unique and adventurous exploration of environmental advocacy, which led to travels and work as an activist throughout the United States and Mexico. Eventually, Chef Danny returned to Canada, taking up residence and working in restaurants in Montreal. His love of travel hadn’t abated, so he continued his hands-on global exploration of food in Lisbon. Here he was intrigued by how the local cuisine was prepared simply with the freshest possible ingredients, a lesson he carried with him on his return to the emerging culinary destination of Toronto. 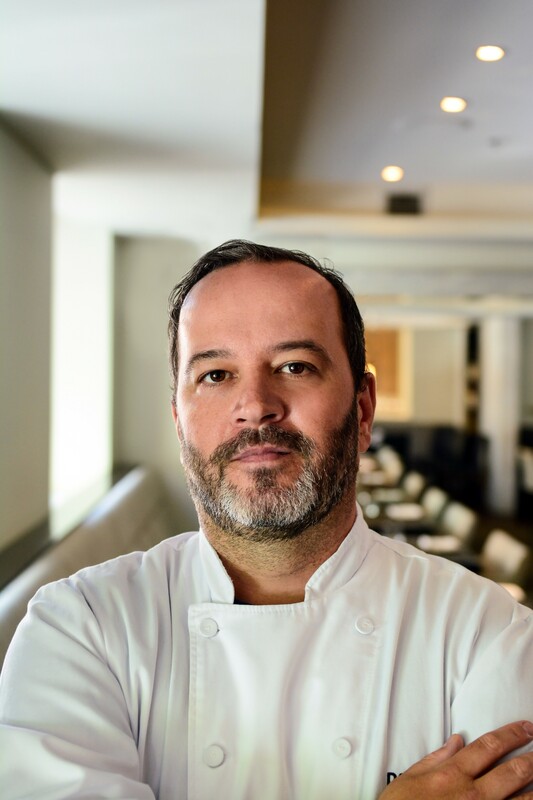 He joined King Street Food Company’s first restaurant, Brasaii, and in 2010 was named the Executive Chef of Jacobs & Co Steakhouse and with that, one of the country’s most dedicated meat experts. To take on the role, Chef Danny put himself through a self-directed, intensive course of study, learning all he could about meat, from the anatomy of cows to the process of dry aging. He strengthened current relationships and developed new ones with leading suppliers from around the world, from whom he sources Jacobs & Co’s diverse, thorough and well-balanced list of steaks. His interest in learning more about wine and the pairing process lead to the pursuit of Sommelier studies with the International Sommelier Guild and the Guild of Sommeliers. While he has sought knowledge from innumerable resources, the key to his success has been his natural instincts. His open mind, keen senses, natural talent and eagerness to learn have propelled his rise through every role in a kitchen. Chef Danny’s commitment to his ideals is shown not only in his support of local charitable food organizations such as The Stop Community Food Centre, but also in how he approaches running the Jacobs & Co kitchen. His commitment to the top quality fresh and local ingredients is evidenced by many hours spent sourcing at farms throughout North America, and his interest in constant improvement and education has lead to Jacobs & Co holding regular educational seminars for staff. He is a self confessed perfectionist whose approach is built on the idea of the classic dining experience; impeccable, traditional service, simple but perfectly prepared dishes, and ensuring the guest’s experience is seamless from start to finish. 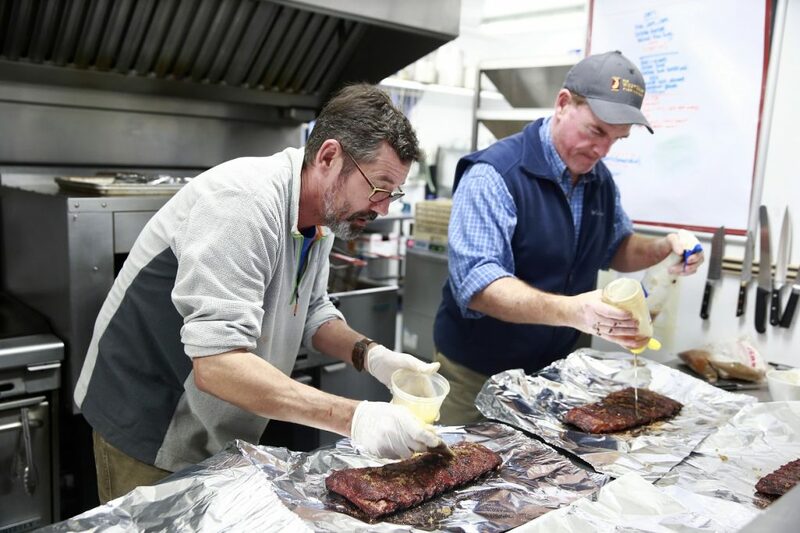 Before his success on the competition barbecue scene, Tuffy was best known as one of the premiere caterers in Virginia as the co-owner and proprietor of A Sharper Palate Catering, a top rated catering and events firm in Richmond. 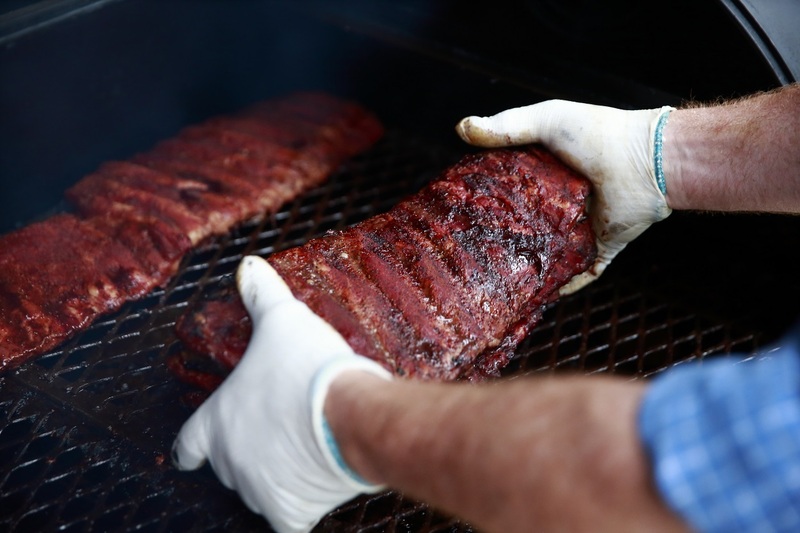 He has earned Grand Champion titles in nearly every major barbeque competition on the circuit. In 2013 Stone took home two World Champion titles while only cooking eight contests and he followed up in 2014 with another World Championship title, winning the American Royal Open. That year he also won 1st Runner Up at the Houston Live Stock and Rodeo World Championship, and took 2nd place in ribs at Memphis in May. Tuffy has won contests all over the country, including back to back wins at the American Royal World Series of Barbecue, Grand Champion at 2013 Jack Daniels World Championship Invitational, and First Place in Whole Shoulder at the 2010 Memphis in May World Championship to name a few. Most recently, Tuffy took home the top prize in competition barbecue, winning Grand Champion at the 2015 Kingsford Invitational. Guests enjoying a beautiful evening, complimented with Jack Daniel’s cocktails on the back deck of The Clubhouse. Now heading into it’s third year, this event has quickly become one of our most popular of the season. Be sure to read our 2017 event summary below to see the highlights from last year and find out why this is a must attend event! For the second consecutive year, the best of the Deep South was transported way Up North, of Haida Gwaii that is, as The Clubhouse played host to a new and tasty tradition in the form of the Back Deck Bourbon Barbeque. 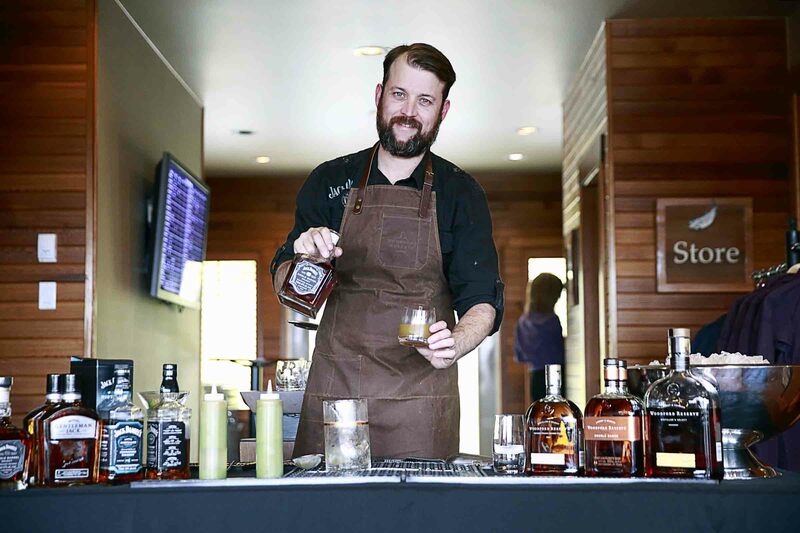 Folks who know about barbeque cuisine know that bourbon – Tennessee whiskey – is one of the key ingredients used by pit-masters everywhere, including headlining guest chef Tuffy Stone, who like the Jack Daniel’s family, hails from the town of Lynchburg, Tennessee. Guests were treated to Tuffy’s competition-style ribs again this year. 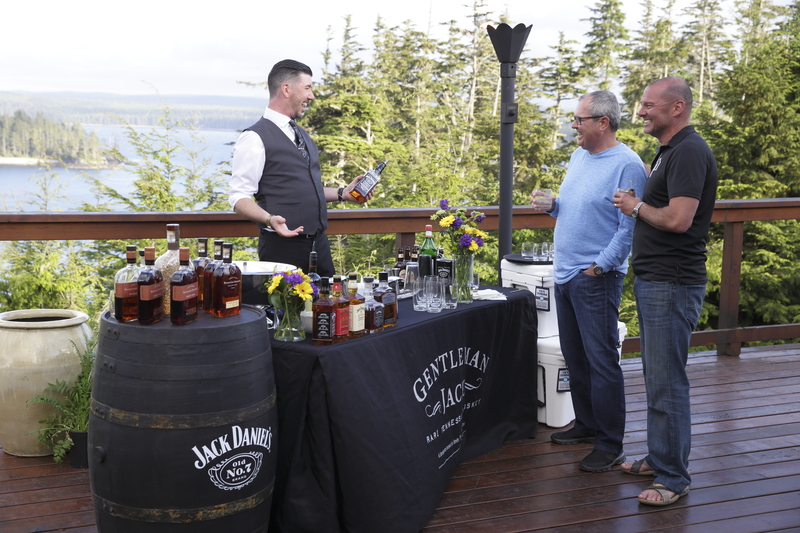 Jack Daniels Brand Ambassador, Ryan Cheverie serving his one of a kind cocktails. 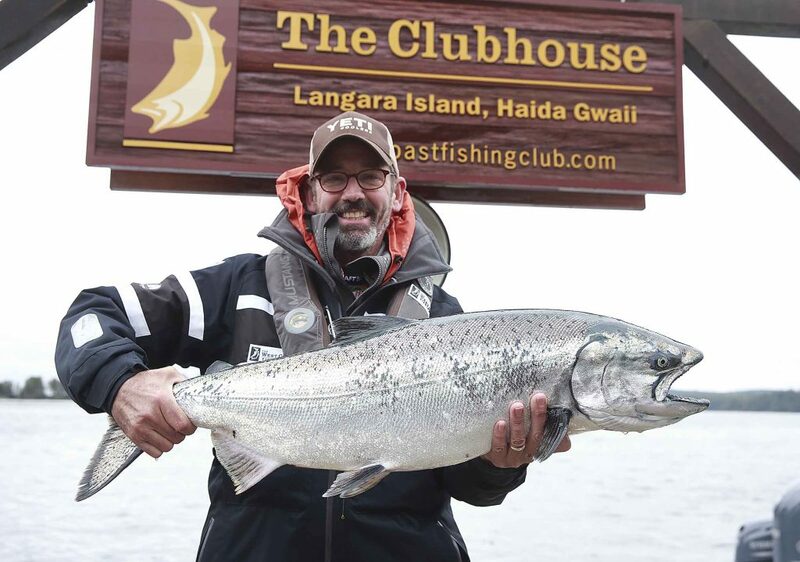 The weather may have been on the rainy and gusty side for the first part of the trip, forcing guides to seek the shelter of bays to find both Salmon and Halibut, but nothing could dampen the spirits in the glass or the hearts of a sold-out crowd of appreciative guests. 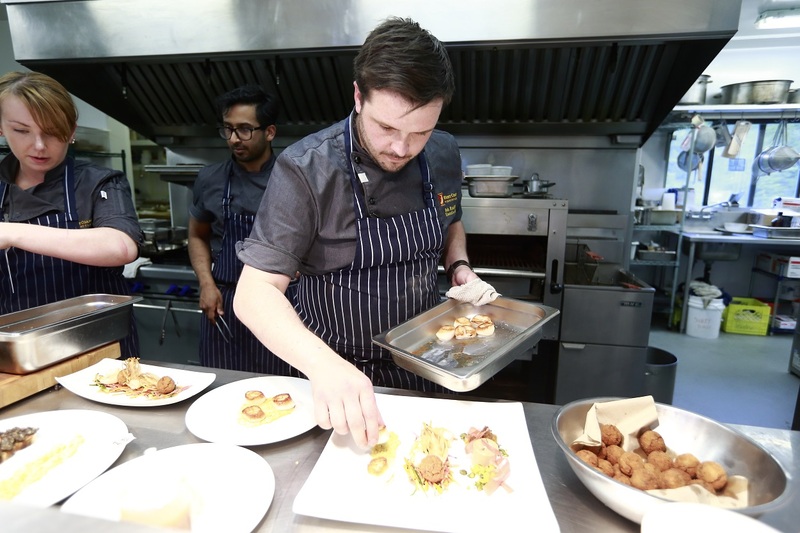 The debut dinner was Executive Chef Rob Ratcliffe’s traditional first-night buffet, with bourbon-themed twists throughout the dishes to set the tone and taste buds for the days ahead. 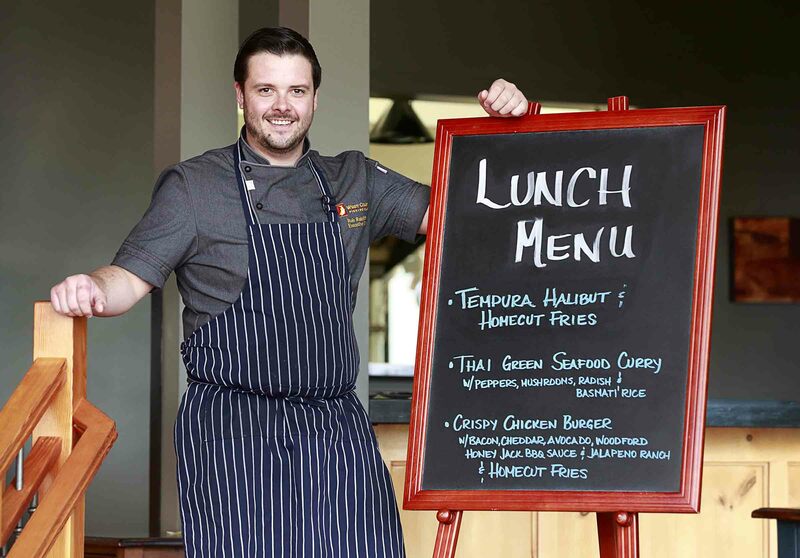 Rob Ratcliffe sets the bar high with his bourbon-themed lunch menu. Rob Ratcliffe preparing dinner for Back Deck Bourbon Barbeque guests. And so it went for the remainder of the trip, with Chef Rob’s team demonstrating their own southern style, including an incredible 48-hour rib roast finished off on the Yoder smoker, broiled Salmon with Woodford and burnt orange glaze and deserts such as Honey Jack toffee apples and smoked fudge! Ribs are on the Yoder smoker, now they wait. Tuffy & Jeff adding the final touches. Tuffy, Rob and Jeff with the finished product. 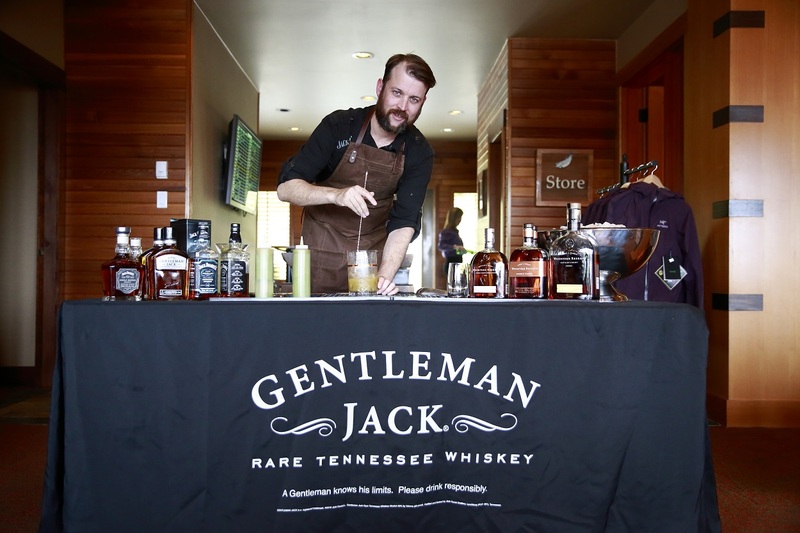 Ryan hosted cocktail hours both noon and night that featured an amazing range of bourbon-based concoctions, including his take on the classic Caesar – the “Tennesseecaesar” in which he swapped out vodka for Jack Daniel’s – and “the Tennessee Mule,” which consisted of Jack Daniel’s Old No.7, ginger beer and fresh lime juice. Ryan Cheverie mixing up his Tennesseecaesar. 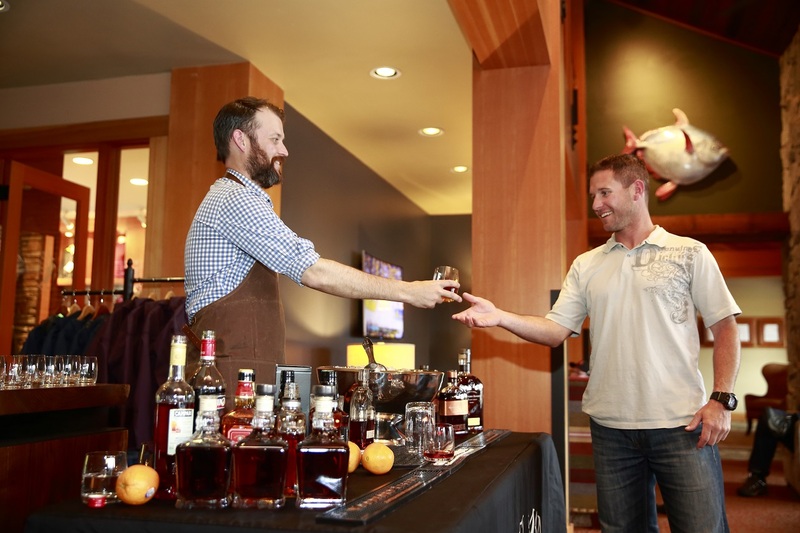 A Clubhouse guest eager to sample Ryan Cheverie’s bourbon offerings. Chef Tuffy Stone and his fishing partner Jeff Hayes took over the grills for the remainder of the trip with main courses from his latest cookbook, everything from barbeque ribs and wings to beef tri-tip and smoked Halibut all prepared on the Yoder and finished on the Napoleon grill, complimented by a full buffet of accompaniments courtesy of The Clubhouse all-star kitchen crew. 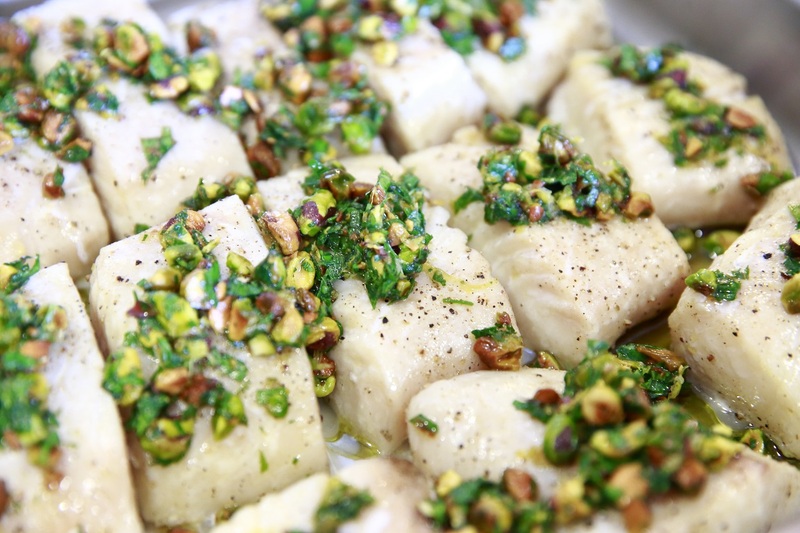 Smoked Halibut by Chef Tuffy Stone. A tip of the chef’s hat goes out to YETI Coolers Fishing Marketing Manager, Evan Russell, who brought along prizes for the top three fish. 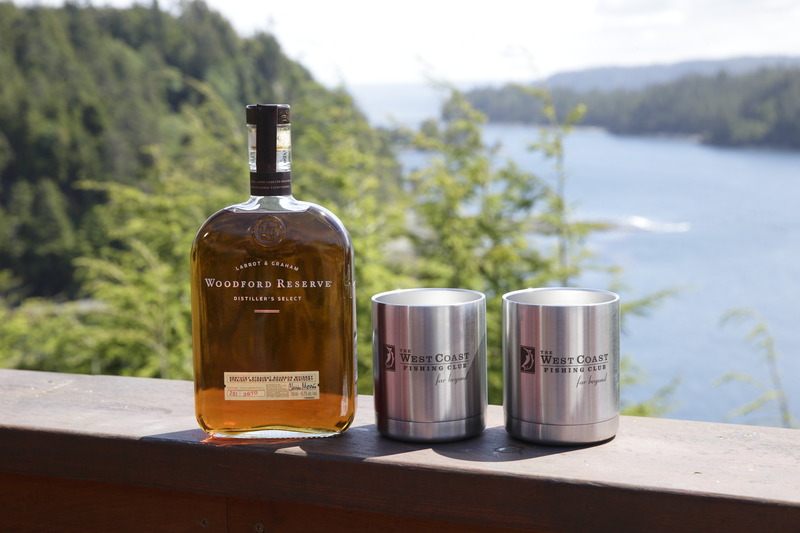 Upon their return to Vancouver, all guests were presented with a gift bag that included a personalized bottle of Gentlemen Jack, YETI Ramblers and cedar planks. 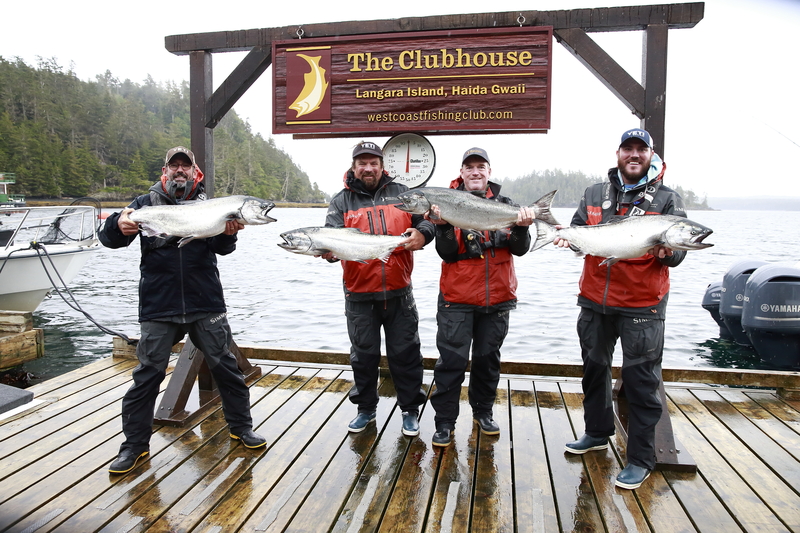 It was a whole heapin’ helpin’ of fun and laughs all round, and one that is sure to be a popular early-season tradition at The Clubhouse. YETI Ramblers and a bottle of Woodford Reserve against a picturesque backdrop. A successful day for Tuffy Stone on the water. 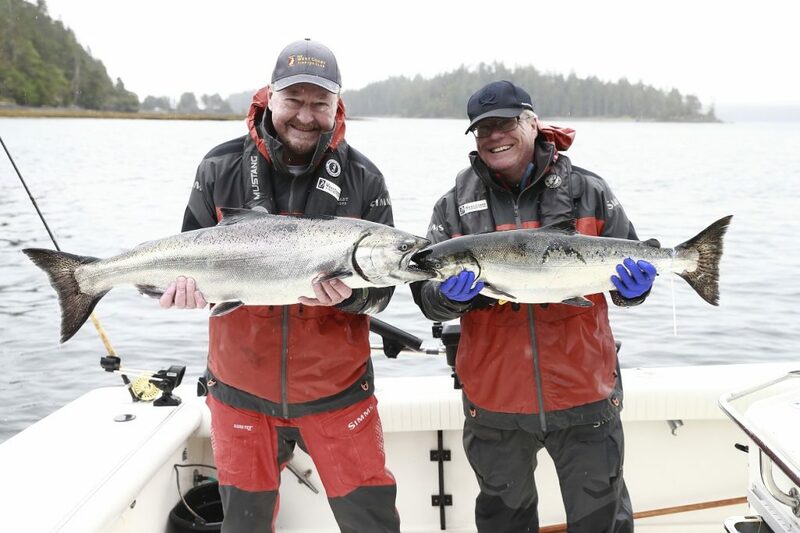 Big smiles for these happy guests. The majestic bald eagle captured by photographer Jeff Vinnick. 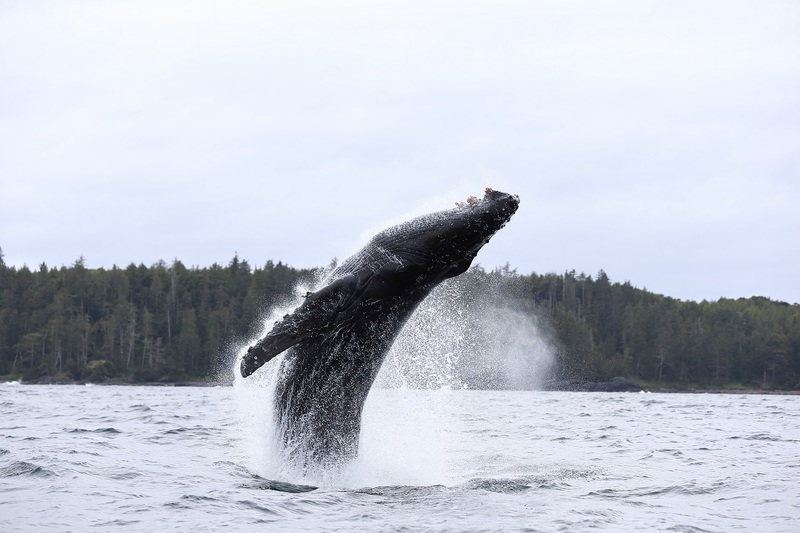 Beautiful shot of a humpback whale by Jeff Vinnick. The 2018 event runs at The Clubhouse June 3 to 7, 2018. Contact us TODAY to secure your spots at 1-888-432-6666 or click here to make an inquiry online.